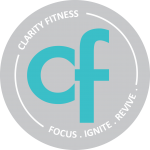 Start taking classes at Clarity Fitness and other studios! All fitness levels are encouraged to try our version of High Intensity Interval Training. We use minimal equipment to maximize the use of body weight and functional movements. You’ll compete with yourself each week to challenge and improve your athletic abilities. Ignite your body and challenge your inner athlete! There are no upcoming “cf Hiit” classes on this day. Love the live DJ!!!! Great variety of music to keep everyone motivated. Always a good workout and calorie burner!!! If you wanna sweat. This is class to take. Non stop HIIT all the way. Great workout and way to start the weekend on the right foot :) Thanks Melissa. great class, one of my favorites! Clarity classes never cease to amaze me. They're challenging but accessible to everyone and the people (staff and students) are always so nice! My favorite! Intense and fun!